Some studies show increased extravasation risk of ultrasound guided peripheral intravenous catheters (USGIVs). This is a commonly encountered clinical scenario. It would be nice to know if this is a risk related to the ultrasounds being placed by ultrasound or something else. This study aims to look at that question. Do IVs placed by US have more risk of extravasation during IV contrast administration compared to IVs placed under standard methods? Who placed these US guided lines? Took all patients getting CT with IV contrast and then determined which type of IV (US guided vs standard). Two stage model - they needed to have a random sample selected in order to be representative of the standard IV group. 1. 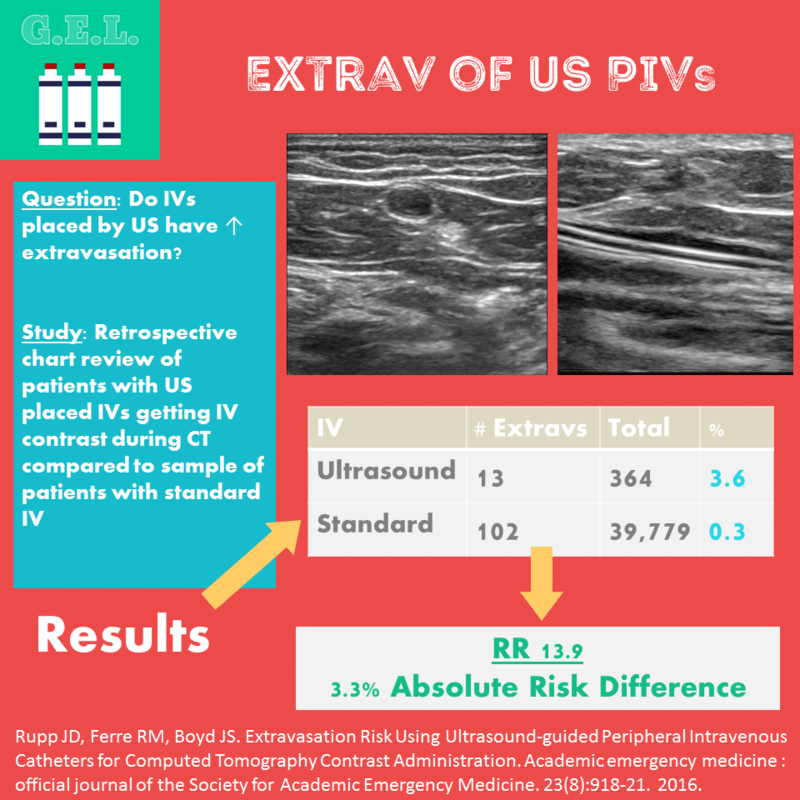 Ultrasound guided peripheral IVs are more likely to extravasate during CT - absolute risk difference 3.3%. 2. Other factors in the patients who often require these IVs also predisposes them to extravasation. 3. In this study, the extravasations did not lead to significant difference in patient centered outcomes such as interventions. Great review! This is a useful study to know about the risk of extravasation. However I think it is more important to point out the underlying factors regarding vein selection and cannula selection that lead to higher rates of USGPIV failure. The following article is a great accompaniment to this article (https://www.ncbi.nlm.nih.gov/pubmed/22078967). Ultimately the questions is, what can I do to prevent my IV from extravasating? While this study tells us that the risk is real, if a patient cannot get access and needs a USGPIV, we are still going to place an USGPIV. 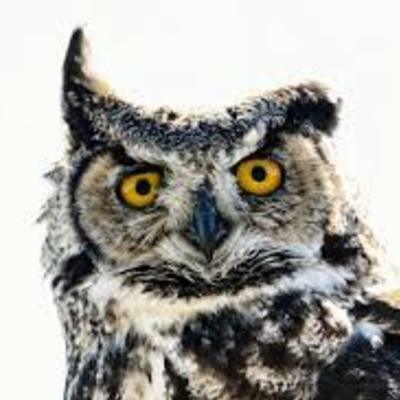 A focus on technique and nuance is warranted to reduce this risk, especially when USGPIVs are potentially to be used for more noxious medications such as pressors. Thanks for the great comments Michael. The article you referenced is a good one that people should know about - good information about USGPIV function in general (not just contrast extravasation). I think the take away from that one is go shallow and in the forearm if you have the option. I definitely agree with you on the point of "is this data going to change what I do?". We are still going to have to place USGPIVs, and we are still going to have to use them for CT contrast. I think that this article is promoting an awareness of the risk associated with that, even though we are often forced to take that risk. I love your suggestion of focusing on placing good USGPIVs for this reason. We appreciate you sharing your insights!